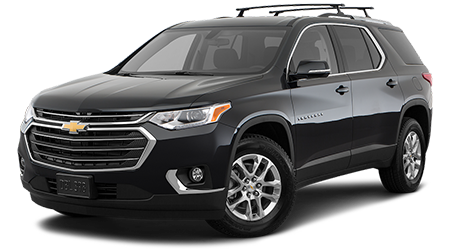 Whether you're looking to run errands around town, are dropping the kids off at a sports practice or are headed for a cross country trip, the 2019 Chevrolet Traverse enhances the excursion! This SUV is now available here at Henna Chevrolet in Austin, Texas, and thanks to its 98.2 cubic feet of maximum cargo space, hands-free liftgate, hidden storage compartments, and Smart Slide® seating, you can bring along your road trip items with ease! See this versatile ride for yourself, visit our new and used Chevrolet dealership near Round Rock today. Get a helping hand while on the road, opt for a 2019 Chevrolet Traverse from our auto dealership! This new car for sale is available with an innovative Forward Collision Alert feature as well as Front Pedestrian Braking and Low Speed Forward Automatic Braking, all of which make way for on-road peace of mind. Learn more about the driver-assistive safety features this new SUV has to offer, like Lane Keep Assist with Lane Departure Warning, contact our Chevy dealer! 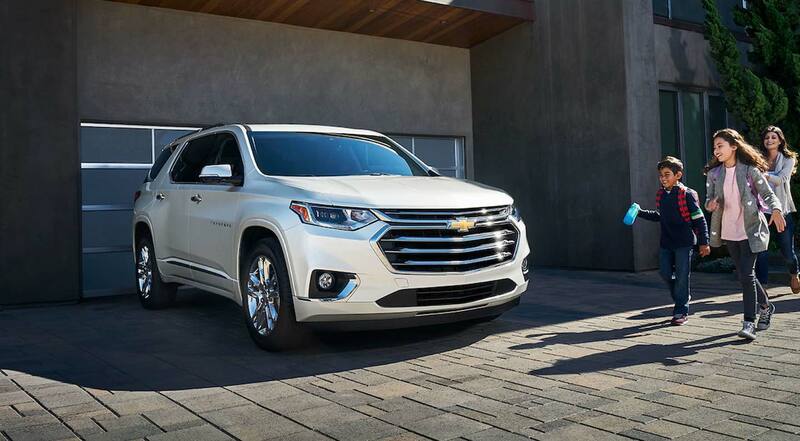 When equipped with the drive mode feature, the 2019 Chevy Traverse allows motorists to customize their cruise. With four options to choose from - FWD, 4x4/snow, off-road, and tow/haul - you can easily take on all the challenges of Texas roads. Add to that the available 3.6-liter V6 engine, 9-speed automatic transmission and towing capacity of up to 5,000 pounds, and you're ready for adventure! Experience the intelligent stop/start technology for yourself, book a test drive with help from our online form. Stay connected while exploring all that nearby Leander, Texas, has to offer with help from this new 2019 Chevy mid-size SUV. With features like built-in 4G LTE Wi-Fi, an 8-inch color touch-screen, smartphone compatibilities, and a Chevrolet Infotainment System, this vehicle is able to keep both drivers and passengers connected and entertained. Hear about the systems that come standard and those that can be added onto your new car purchase, get in touch with our Henna Chevrolet team now! With up to 14 available advanced safety features, spacious, comfortable seating for up to eight and a 5-Star overall vehicle score for safety, the 2019 Chevrolet Traverse is the sleek new ride that you've been waiting for. Our new and used car dealership near Cedar Park, Texas, is dedicated to helping all those who are interested in taking home one of these models do just that; that's why we offer comprehensive financing assistance. Complete one of our credit applications online now if you're ready to explore your loan options!